Mar. 30, 2017, 8:15 a.m.
It’s a city-wide challenge: How much food can be rescued in a week? The city’s second Inclusive Innovation Week kicks off Friday, and this time, the week of events centered on equity in tech and creative spaces has a volunteer element. The city partnered with 412 Food Rescue, a local nonprofit that allows volunteers to pick up fresh, surplus food that was going to be thrown away at local businesses and take it to those in need. The organization launched a smartphone app last year that helps facilitate that process. The goal for this challenge? Rescue 15,000 pounds of food from Friday through April 7, Inclusive Innovation Week. Todd Smith, of the city’s Department of Innovation and Performance and one of the challenge’s organizers, said he’s hoping people will challenge each other to join on social media, as was the case in the ice bucket challenge. It’s fun, but also meaningful, and social media could give people a nudge to join in, he said. There will also be “celebrity” food rescues throughout the week. Per the city, Mayor Bill Peduto is expected to participate Tuesday, and city council members Dan Gilman, Deborah Gross, Darlene Harris, Bruce Kraus, Daniel Lavelle, Natalia Rudiak and staffers from Corey O’Connor’s office, as well as EMS and public works employees, will participate throughout the week. “412 seemed like the perfect organization to work with,” Smith said. Even before 412 had an app, they did a lot of their outreach through social media, he said. 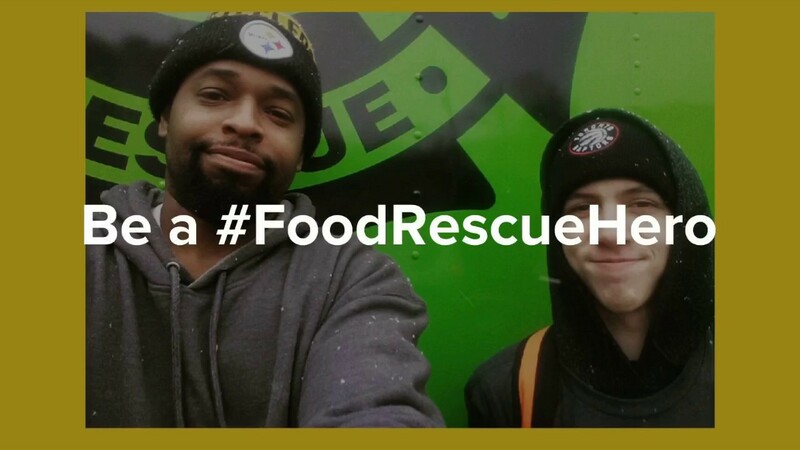 The challenge “is an exciting opportunity to put a spotlight on the people who make 412 Food Rescue happen — the residents in the Pittsburgh region who have stepped up to prevent fresh food from going to landfills to providing healthy meals to residents that are food insecure. For us, the core of Inclusive Innovation is enabling all residents to take part in something that benefits us all,” Leah Lizarondo, 412 CEO and co-founder, said in a news release.